On August 22, 1911, the world was shocked by an audacious crime: Leonardo da Vinci's Mona Lisa was stolen from the Louvre. Although some people suspected subversive artists like Picasso or Apollinaire of perpetrating the theft, no arrests were made. Two years later, an Italian named Vincenzo Perugia was detained after attempting to sell the Mona Lisa to an antiques dealer in Florence -- but the mystery of the theft itself was never satisfactorily resolved. Featuring an engaging cat-and-mouse drama and unforgettable characters, Valfierno is a brilliant fictional-ization of the greatest theft of the twentieth century, as well as a compelling psychological portrait of a true mastermind. Valfierno, Caparrós's eighth novel, won the prestigious Premio Planeta award in 2004. On August 22, 1911, the world was shocked by an audacious crime: Leonardo da Vinci's Mona Lisa was stolen from the Louvre. Although some people suspected subversive artists such as Picasso and Apollinaire of perpetrating the theft, no arrests were made. Two years later, an Italian named Vincenzo Perugia was detained after attempting to sell the Mona Lisa to an antiques dealer in Florence -- but the mystery of the theft itself was never satisfactorily resolved. In his spellbinding novel Valfierno, Martin Caparrós tackles this enigma, presenting us with a fascinating criminal unable to go to his grave without divulging the details of his outrageous heist. In tantalizing conversations with an American journalist, the Marqués de Valfierno sheds light on his past secrets, including his sordid origins as Bollino, son of a Buenos Aires servant woman, a man ultimately transformed into the most notorious con artist in the world. A sly and consummate entertainer, Valfierno reveals the shifting identities of the anonymous Argentine boy who has gone on to become a veritable artist, creating for himself the perfect role of wealthy aristocrat in Belle Époque Paris as he prepares for his crime. Featuring an engaging cat-and-mouse drama and unforgettable characters, Valfierno is a brilliant fictionalization of the greatest art theft of the twentieth century, as well as a compelling psychological portrait of a true mastermind. Valfierno, Caparrós's eighth novel, won the prestigious Premio Planeta award in 2004. 1. The narrator comments on the concept that different people in a community have their individual roles. His mother, however, "has no place there, on the cobblestone streets of the center of that town, and yet she continues to take her walks there." (p. 17) What does this reveal about her character as well as the character of her son, Juan María? What does it mean to not have a role in a community? 2. "A father can be either a path or an obstacle for a man, but not both....He will be a path if his own failures offer the secrets to their avoidance, an obstacle if they loom still as dangers." (p. 59) Do you think the narrator is right? Why or why not? 3. Ruthlessness and wealth relate to each other in many contexts throughout the novel. "I don't believe that it is possible to become rich without being ruthless. In order to get rich, you must be fixated on one single, immutable idea: the desire to make a fortune." (p. 65) Do you think this is true? Must these two characteristics come hand in hand? 4. Due to her experience, Valerie has a different take on love, thinking it is "either a luxury or folly." (p. 77) She proposes that she and Valfierno are both fakers. Valfierno, however, disagrees. Who do you think is right? 5. "One of the most common ways to prove that a false story is true is to tell an even bigger lie and confess that the first story was a lie, but that this new one now, this one I'm telling you now is the real truth." (p. 97) Valfierno's narration is inherently untrustworthy. As a reader, when do you trust him? When do you not? 6. Valfierno quotes an old saying: "morals are the substitute for intelligence." (p. 135) Do you agree with him? 7. Throughout the novel Valfierno grapples with the question of self, and self determination. "How do you decide who to be? And why?...When I am already me, when I am already this person here." (p. 187) How do you think of his questions as they relate to the novel, and as they relate to your own life? Does one have true self-determination, or is one formed more fully through outside influence? 8. In changing his identity, Valfierno "asks himself: what will I have to forget? Not: what things will I need to learn or to copy...in order to become someone else?" (p. 198) This thinking suggests that it is more difficult to break old habits or personality traits than it is to form new. Is he correct, or is it the other way around? 9. Valfierno and Aliaga argue whether or not a past can be bought for a country. "We're a young country. And powerful. We are the future; what we don't have at the moment is a past." Valfierno replies, "That, too, can be purchased." (p. 213) Who is right? What are the ramifications of your conclusion? 10. Chaudron speaks passionately about the nature of art and of replication. "If it weren't for the copy, the world wouldn't exist. We are ephemeral. Originals don't last; someone has to make a copy of them for them to keep existing." (p. 244) What are your thoughts on his view? Is the world born from newness or from a copy? 11. Chaudron argues that "an artist who makes a copy is more skilled than the one who is being copied." (p. 244) Is he right? 12. The narrator did not quite understand Valfierno's ending poem. (p. 341) What do you think it means? 1. Take a tour of your local art museum with your reading group. For a full list of fine art collections in your local area, visit: artcyclopedia.com/museums.html. 2. To learn more about the Mona Lisa, read Mona Lisa: Inside the Painting by Jean-Pierre Mohen, Michel Menu, and Bruno Mottin. 3. If you enjoyed this book, also read The Art Thief, by Noah Charney. 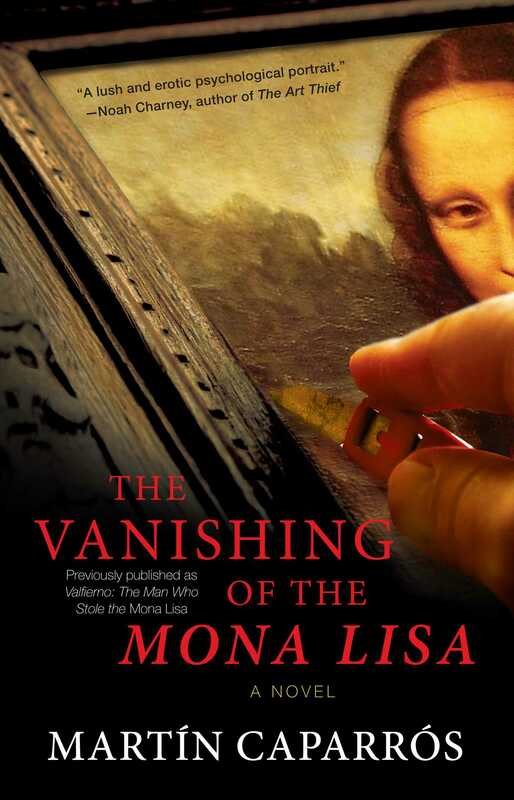 To learn more about art theft, read Museum of the Missing: A History of Art Theft, by Simon Houpt, or The Rescue Artist: A True Story of Art, Thieves, and the Hunt for a Missing Masterpiece, by Edward Dolnick. Martín Caparrós, prolific novelist, essayist, and travel writer, won the 2004 Planeta Prize in Argentina for Valfierno, which has been published in over a dozen languages. 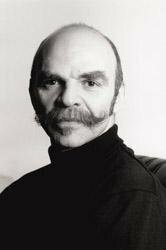 He has also worked as a journalist for print, radio, and television. He currently lives in his native Argentina.